Overall this has been a dry month as Februaries go; we have gotten less than half the usual rain and snow for the month; indeed, none of the snow we got lasted long enough to accumulate. However, you wouldn’t know it from this week’s weather. For the past two days we have been getting a mixture of rain, sleet and snow, as if nature is trying to make up for the shortfall. I don’t think the precipitation will catch up, though, inasmuch as the last day of the month is tomorrow. Last week Leive decided to send a gift package to her sister in the Philippines, what they call a balikbayan box. One of the items going in the box is her old laptop, the one our silly parrot claimed as his own. Don’t worry, I now entertain Brin-Brin with the tablet I got last month. Anyway, my part in this was to erase Leive’s stuff off the hard drive by reformatting it, and installing some programs I believe the in-laws can use. I got done with that task yesterday, but the hard drive kept giving me error messages, so I expect it will fail very soon; I hope they can repair or replace it. In the past I used to talk quite a bit here about political news; I haven’t said much lately because I am disgusted at how they run things in Washington, and because I feel shut out of the whole process. Neither the Democrats nor mainstream Republicans represent me; about the only politicians that do are the handful of Tea Party Republicans in Congress. Yesterday Chuck Hagel won the Senate vote to become the next Secretary of Defense, despite his dismal performance at the confirmation hearings. What surprised me is that Kentucky’s Rand Paul was one of the four Republicans who voted for Hagel. Because Rand Paul is also one of the Tea Party Republicans I mentioned above, I demand an explanation for his vote; has he picked up some kooky ideas from his father? 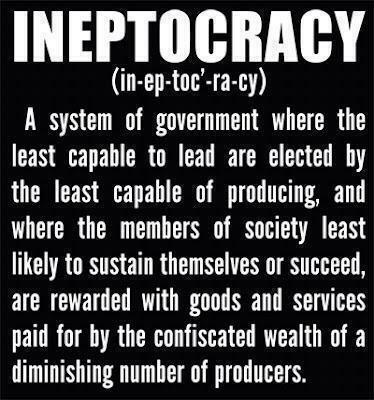 And so Hagel joins the list of incompetent leaders in Washington that have made our government an “ineptocracy.” He’s not qualified to be Defense Secretary, Eric Holder is not qualified to be Attorney General, Barack Obama is not qualified to be president, etc. It looks like the individual most qualified for his job is Joe Biden; what a frightening thought. Speaking of incompetence, our new Secretary of State made his contribution. In Germany John Kerry said in a speech that because of America’s freedoms, US citizens have the right to be stupid. No thanks, Mr. Kerry. You have shown more than one example of stupidity (remember the picture below? ), but where I come from, it’s not smart to be dumb. Acting stupid may be all right if those who do so have to suffer the consequences, but it’s liberals like you that are doing away with that, so in effect, we are encouraging a dumber society. Arrgh, who votes for clowns like these anyway? Last night was Oscar Night, as you probably know. Normally I don’t give it any attention, feeling it is one of the dullest nights of the year, but because so many Kentuckians were nominated, I checked the news this morning to see how it turned out. Whatever else you can say, you have to admit Kentucky won. Jennifer Lawrence, the best actress, is from Louisville. Daniel Day Lewis, the best actor, played Abraham Lincoln, probably the most important person ever born in Kentucky. And George Clooney won an award for his part in “Argo”; he was born in Lexington. Yes, once again it is time to celebrate Queen Esther’s holiday. I haven’t seen any hamentaschen in the stores lately, but what the heck; I’m supposed to avoid sweets anyway. Here’s an animated video explaining the story and the meaning of Purim, for those not familiar with it. 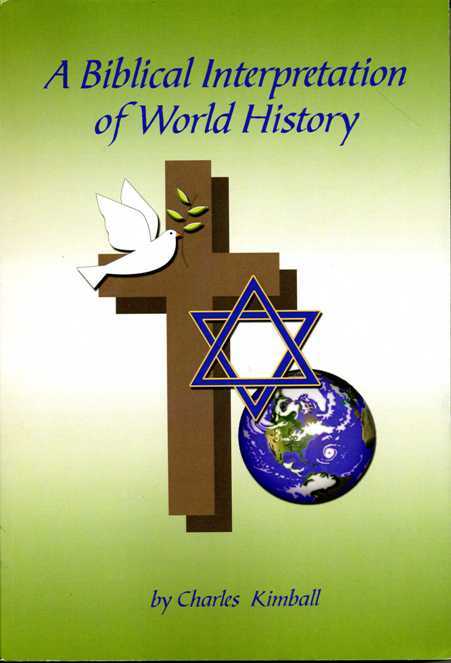 Long-time readers will know that David Rohl, a British archaeologist, is my favorite author. 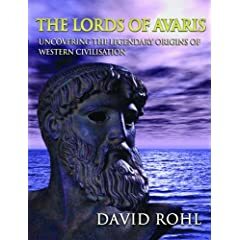 I bought my copy of “The Lords of Avaris” five years ago, and reviewed it in this blog; check out my messages from February 19, 2007 and July 18, 2008 to read what I said about it. What amazes me is how these three copies got to my part of Kentucky. They have never been published in the United States; I had to order mine from the British equivalent of Amazon, Amazon.co.uk. And while it wouldn’t be too surprising to find a copy in a big city on the coast, Kentucky is off the beaten path. Finally, the books are in mint condition, so I don’t think somebody donated his copies to the store after reading them. I paid $40 for my copy, and these are being offered for $7.99 each. What a deal! Because I still have my copy, I don’t expect to be buying another one, unless I want to give it to a friend. Last year my pastor was working on bringing David Rohl to speak in our state, so I called and told him, in case he might want one. Of course they will be sold, if David does come to town. Normally I don’t commemorate historical anniversaries here. Plenty of other websites do that, and I have a widget to mark them on the front page of The Xenophile Historian. However, my brother is a Florida history expert, and he pointed out that today is the anniversary of the battle of Olustee (February 20, 1864), Florida’s largest Civil War battle. 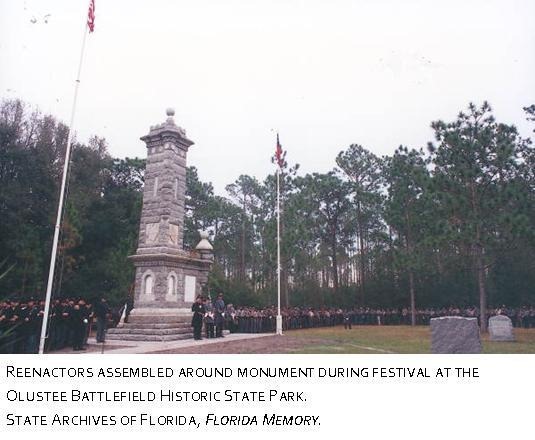 I mentioned it in a footnote here, and below is a picture of the monument to the battle, just east of Lake City, FL. 1864 – February 20: The largest Civil War battle to take place in the State of Florida occurred today at Ocean Pond/Olustee. Union and Confederate forces were about evenly matched with between 5,000 and 5,500 soldiers each. The Confederates, under the command of General Joseph J. Finegan, had prepared defenses in the area. The General selected the position because of the protection offered by two small lakes. It was also the location of the major road and railroad into the interior of the state. Failure of the Union commander, General Truman Seymour, to commit his forces in concert and as a whole gave the Confederates a strategic advantage. At the end of the day, the Confederates controlled the battlefield and Federal forces were in a hasty retreat toward Jacksonville and the safety of the guns of the Union navy. Finegan did not exploit the retreat, allowing most of the fleeing Union forces to reach Jacksonville. However, the Confederates did make a final attempt to engage the rear element of Seymour’s forces just before nightfall, but they were repulsed by elements of the 54th Massachusetts Volunteer Infantry and the 35th United States Colored Troops, both composed of African-American soldiers. Union Casualties: 203 killed, 152 wounded, 506 missing. Confederate casualties: 93 killed, 847 wounded, 6 missing. Today, the battlefield is contained within the Olustee Battlefield Historic State Park, a part of the Florida State Park system. This park is located within the Osceola National Forest. Every February, thousands of reenactors from across the U.S., and around the world, come to the Park to reenact the Battle of Olustee. The last few years have been good ones for Abraham Lincoln’s legacy. In 2009 his 200th birthday arrived, and last year saw two movies about him in the theaters; one of the films may win some academy awards next week. Still, I didn’t expect a commercial for today to have him and George Washington rocking like this (LOL). By the way, did Mr. Obama get the presents he wanted this time? I understand he was upset when he didn’t get any presents on previous President’s Days. I don’t recall an Asian ever rising to the Papacy. But after the current pope announced his resignation, I suppose other surprises are possible. Tagle seen most viable Third World bet for Pope | Inquirer Global Nation.